It has been a very dry summer and there haven't been many mosquitoes but the rains finally started and with them the mosquitoes. 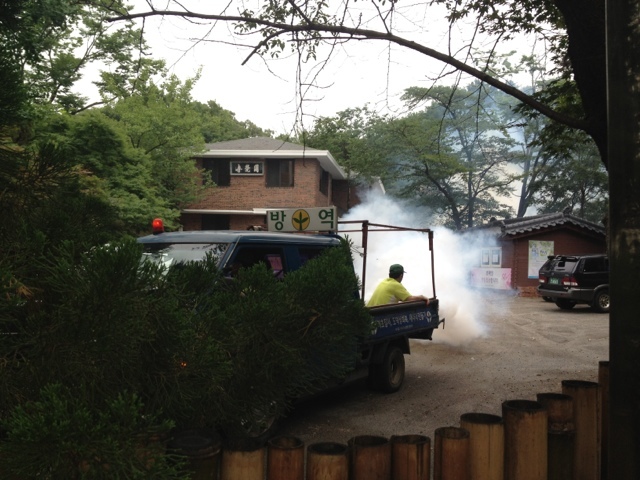 I saw the mosquito truck for the first time this year which is very late. They had those same trucks in Chuncheon 15 years ago. It's a miracle I don't have lung cancer. LOL!